We're bringing Car Leasing Home to You. Before now, you had to walk into the dealership to make a vehicle yours. We changed that. You Set The Terms. You Make The Deal. Your New Car Lease, Delivered Straight To You. Find a Car: Use the search bar or navigation menu (whichever you'd like) to find a car that you're interested in. Calculate Payment: Take a look at the car’s features while calculating it's exact payment on Click Click Car’s one of a kind payment calculator. Schedule Test-Drive: When you've decided the payment is right for you, schedule a test-drive with us. Call us or use one of our contact forms and tell us how to get in touch with you. Review Paperwork: After completing the fields in the form, discover what your paperwork will look like and remember—Doing this is a great way to get the price you want without any hidden fees. Test Drive the Car: After that we'll prepare the vehicle for you. Would you like us to bring you the test-drive? Or would you like to visit us instead? Just About Finished! Once you've decided, we’ll wrap everything up for you. The car lease is yours. Take the car home and feel great knowing that you had complete control of the entire process. Note: Know that there's no pressure during the entire process. Take your time and if you decide to start over at any point. Feel free! There is no easier way to lease a car. 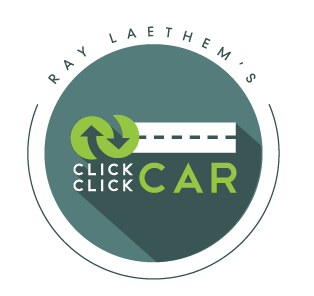 Use Click Click Car and find out for yourself! Ready for a Test Drive? Tell us when and where. We'll bring the Car. Introducing Ultimate Convenience With Our Innovative Carcierge Service. "I've had a pizza delivered to me before, but never a car! All of my friends thought it was the coolest thing!" Our "Carcierge" service will deliver you a test drive and then show you how your new car works.